The Country Women's Association (CWA) of NSW has secured a prominent office building in Mascot for its new state headquarters. The sale comes just over a year after the CWA of NSW sold its long-end Elizabeth Bay home for $18.4 million. The new Mascot site at 244 Coward Street has been acquired off-market from a private syndicate in a deal valued at $7.9 million. CBRE negotiated both transactions in tandem with commercial buyer's agent Damien Holliday from Prosper Group, who has been advising the Association on its property strategy. "Due to the strong property development cycle we are experiencing there were very limited opportunities for the CWA to consider that satisfied their refined search criteria. After an extensive search across most of Sydney we identified this property which provided the CWA with the best of both worlds; a new head office and a great long term investment," Mr Holliday said. "We are seeing a lot of owner occupiers and investors looking to take advantage of the current development cycle but they are faced with the dilemma of then finding the right property purchase to reinvest their capital or for the relocation of their business. "CBRE's Peter Vines and Olivia Skinner introduced the Mascot deal to Prosper Group. It involves a partially leased building on the corner of Coward Street and Bourke Road. "The ability to secure a building with an existing income, in an area well serviced by public transport, was particularly appealing for the CWA," Mr Vines said. "Mascot has experienced rapid growth in recent years, with the building situated in close proximity to a range of popular cafes and eateries in addition to numerous corporate offices for companies such as DHL, Qantas, TNT, Bluescope, Redbull and Panasonic. "Ms Skinner added that many of the more recent occupiers in the area had relocated from the Sydney CBD or city fringe, attracted to the newer, better quality stock that was available in Mascot at affordable rentals. The CWA's new building is situated in the heart of the Mascot commercial precinct, directly opposite Mascot railway station. It comprises six levels of office space in addition to two levels of car parking. [urbanRelatedPost][/urbanRelatedPost]The 1,609sqm building has a striking, modern design incorporating aluminium cladding, extensive glazing and a roof top terrace. There is also a retail component on the ground level. 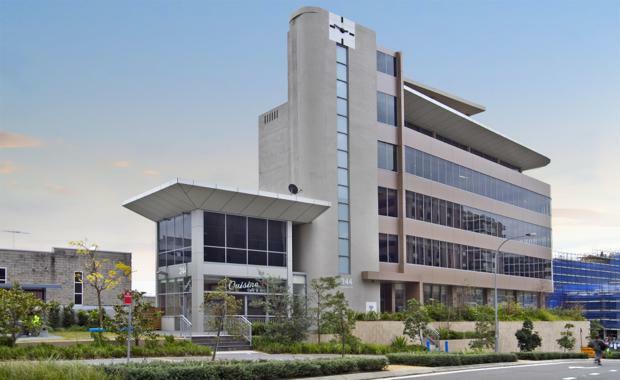 The acquisition follows the sale last year of the CWA of NSW’s long-time head office at 11-13 Greenknowe Avenue. Under the terms of the deal, the Association continued to occupy the site under a 12-month license agreement, providing time to secure new headquarters. Alex Henderson of Prosper Group has been advising CWA of NSW on options for the site. Tanya Cameron, President of the CWA of NSW, said there was significant sentiment attached to the Elizabeth Bay site, which the organisation had purchased in 1953. However, a decision had been made that relocating was the best option for members. “The sale of Elizabeth Bay was a great outcome, taking the pressure off members who no longer have to raise funds to support an ageing building,” Ms Cameron said.